Light rail lines: 83.7 km. Original streetcars (except for the Sellwood line): 1067 mm. Interurbans and the Sellwood streetcar line: 1435 mm. 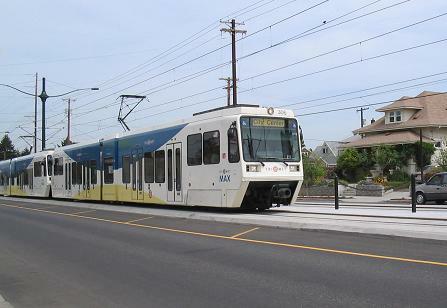 Light rail and modern streetcars: 1435 mm. The Oregon Electric Railway Museum (near Salem, south of Portland) and the Willamette Shore Trolley (between lake Oswego and Portland) run vintage Portland streetcars on museum tracks. Fox, G. "LRT v. buses: Why Portland chose light rail", Tramways & Urban Transit, Oct. 2009 (72: 862), p.390-392. Labbe, J.T. Fares Please! - Those Portland Trolley Years. Caldwell (ID): Caxton, 1980. Lietwiler, C. "Portland: Light rail paves the way to a finer future", Tramways & Urban Transit, Jan. 1998 (61: 721), p.18-20. 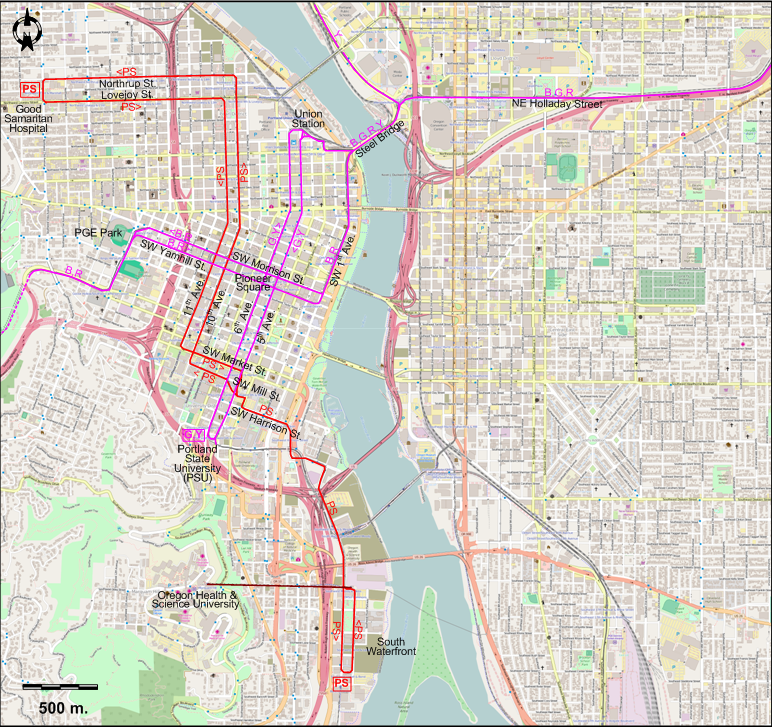 Lietwiler, C. "Portland: Now there are four light rail lines", Tramways & Urban Transit, Aug. 2004 (67: 800), p.298-299. 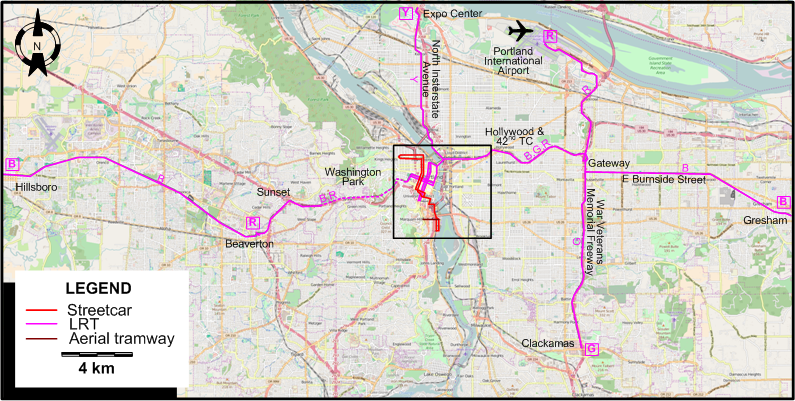 Lietwiler, C. "Portland: Planning 50 years ahead", Tramways & Urban Transit, Feb. 1998 (61: 722), p.369-375. Richard, T. Portland's streetcars. Charleston, SC: Arcadia Publishing, 2006. 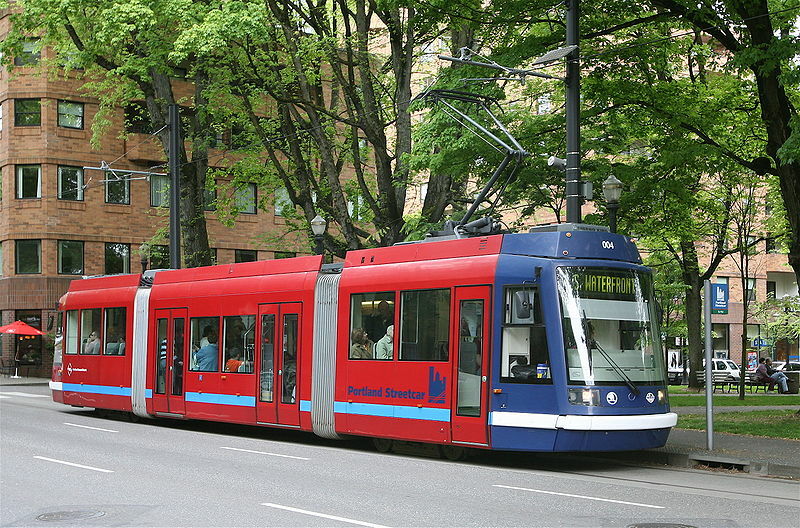 Simons, V. "Portland: Green meets Orange", Tramways & Urban Transit, Dec. 2015 (78: 936), p.473-478. Simons, V. "Portland just gets better and better", Tramways & Urban Transit, Nov. 2009 (72: 863), p.420-423. 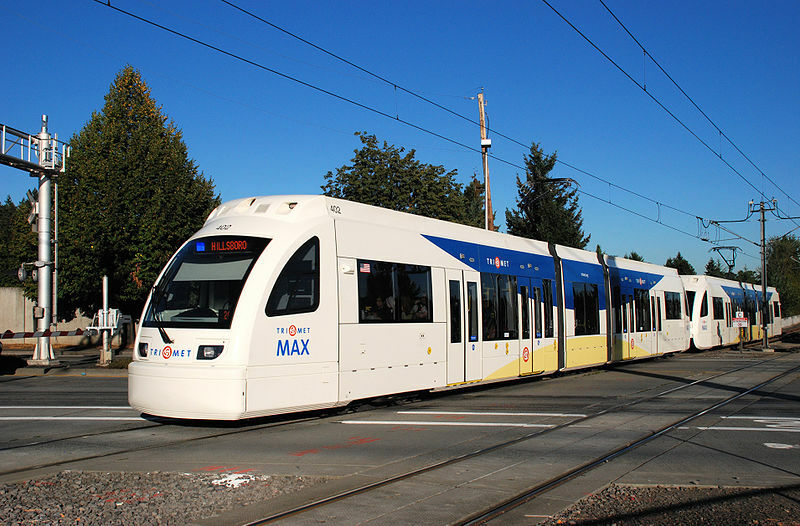 Simons, V. "Portland: LRT pathfinder looks to the future", Tramways & Urban Transit, May 2013 (76: 905), p.170-174. Taplin, M.R. "Portland: The streetcar makes a welcome comeback", Tramways & Urban Transit, Oct. 2001 (64: 766), p.369-375. Wilson, D., Morgan, S. & Clark B. "MAX takes off in Portland", Modern Tramway & Light Rail Transit, May 1987 (50: 593), p.154-165. Special thanks to Russell Powers from Denver CO for information on the history of the Portland system.